Inspired by “Ripley’s Believe It or Not! Odd Is Art,” a book that showcases innovative and unusual art, the two organizations invite participants to create art pieces through unconventional means and modes. Explore examples of previous works and get ideas about what materials you want to use to create your unusual art. Choose your materials and create! Ripley’s and DeviantArt encourage participants to take photos throughout the process to share through journals. 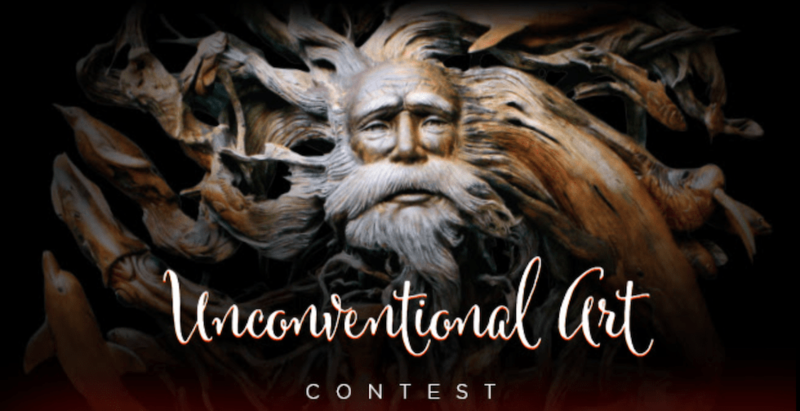 Share photos of your finished piece to the contest category online, and don’t forget to share what materials you used, the process, and your inspiration or story behind the piece. Winning work displayed in Ripley’s Believe It or Not! Odditorium in Los Angeles, Calif.
All-expenses paid trip for two to be a part of Ripley’s Believe It or Not! Art Department for a day in Orlando, Fla. The contest ends on Aug. 20, so be sure to get your entries in now. For more information, and to enter the contest, visit DeviantArt.com. To learn more about Ripley’s attractions, visit Ripleys.com.